Speaking at a breakfast briefing in London, Vodafone UK Chief Counsel and External Affairs Director Helen Lamprell let loose on the UK regulator. Cell tower height, rural roaming, potential reintroduction of international roaming charges, dark fibre and auction dilemmas, there seemed to be a lot of venting going on. The issue which Vodafone is keeping an eye-on is Brexit. According to Lamprell, Ofcom is one of the most conservative regulators throughout the bloc, though when it is freed from the tethers of the Body of European Regulators for Electronic Communications (BEREC), there is a risk it could become even more so. There isn’t necessarily one massive bugbear from the telco, but several little aggravations which all combine to a much larger nuisance. Let’s have a look at mast height to start with. As it stands, UK cell towers are limited to 25 metres in height. This obviously doesn’t take into account those masts which are placed on the top of buildings, just the actual structure itself. In most cases, this doesn’t have a massive material impact on operations, such is the population density of the UK, but when you look at countryside locations it becomes a much larger discussion. Part of the up-coming 5G spectrum auctions will place coverage obligations on telcos. This is a reasonable request by the government, as telcos have shown they will not bridge the digital divide on their own, though as it stands 99% of the UK population is currently covered. Geographical coverage is no-where near this figure, though as there is little commercial gain from providing coverage to these remote locations, reaching the 90% objective is difficult. One way which this could be done is by providing exemptions to the 25-metre limit in certain situations, such as the countryside, as CTO Scott Petty pointed out, for every 10-metres you go up the coverage ring is doubled. All four of the major UK MNOs (EE, O2, Vodafone and Three) are meeting with the Department of Digital, Culture, Media and Sport (DCMS) this afternoon, and this will be a point on the agenda. Should these exemptions be granted, it opens the door for shared infrastructure also, as the main cost of these structures is civil engineering and construction, not the equipment on the tower. Both of these developments combined would aid the telcos in reaching the geographical coverage objectives. This brings us onto another interesting point raised by Lamprell, rural roaming. Three are one of the companies pushing for rural roaming, but as the Vodafone team points out, it is the only MNO which hasn’t built out its rural infrastructure. However, should rural roaming be introduced it would cause a stalemate for investment. As Petty points out, why would any MNO invest in its own infrastructure when it could force its way onto a competitor’s? All the telcos would be sitting on the starting line, waiting for another to twitch first, such is the pressure on the CAPEX spreadsheet column when investing in future-proofed infrastructure. Moving onto the international roaming question, Vodafone is staying pretty agile right now. As it stands, the status quo will be maintained, though the team will react to the commercial realities of a post-Brexit landscape. Currently, as a member of the European Union, Vodafone is protected from surcharges when it comes to termination charges, though those protections will end with Brexit. Vodafone has quite a significant European footprint, in most cases there is little to worry about, but for those territories which fall outside the Vodafone stomp, negotiations will have to take place. There are several countries, Estonia is an example, which has higher termination rates than the UK. If the reality of a post-Brexit world is Vodafone is swallowing up too many charges from international calls/SMS/data, roaming charges might have to re-introduced in certain markets. This is all very theoretical currently however Ofcom will prevent Vodafone from replicating these charges from the European nations. Vodafone is sitting and waiting for the realities of Brexit right now, though it will not be a broad-brush approach. “Our position today is to maintain the position we are in, but we will have to evaluate the situation at the time,” said Lamprell. Dark fibre. It used to be a popular conversation, but everyone seems to have forgotten about it recently. The focus of Ofcom over the last 12 months or so has been on opening-up ducts and poles, and while this certainly is progress, it only addresses part of the problem. Dark fibre is an aspect of the regulatory landscape which could add significant benefits to the industry but has seemingly become unfashionable. Dark fibre, fibre cabling which is not currently being utilised by Openreach, could answer the backhaul demands of the increasingly congested networks quickly and efficiently. Mainly as it is already there. There is no need to dig up roads, apply for planning permission or procure new materials, it could be as simple as flicking a switch. Openreach resistance and Ofcom’s aggressive focus on ducts and poles is perhaps missing a trick. The UK is currently in somewhat of an unusual and unprecedented situation. It is one of the nations leading the world into the 5G. This is not to say it is in a podium position, but compared to the 4G era, the UK is sitting pretty. Part of the reason for this has been early auctions to divvy up spectrum assets, however, moving forward there are some irregularities which is causing some head-scratching. Later this year, Ofcom will kick-start another auction which will see 120 Mhz of spectrum in the 3.6-3.8 GHz bands, as well as 80 MHz in the 700 MHz band go up for sale. For both Lamprell and Petty, this auction doesn’t make sense. These are two bands which will be used for different purposes (coverage and speed) so why auction them off together. If Vodafone had known this was going to happen back in April 2018, during the first spectrum auction, it might have altered its strategy. “We could end up with a very fragmented spectrum situation,” said Petty. From the team’s perspective, it seems Ofcom has only just woken up to the coverage demands of the UK government, and is using this auction as a blunt tool to meet the objectives. From an engineering perspective it doesn’t seem to make much sense to Vodafone. The UK is currently in a good position ahead of the 5G bonanza from an engineering perspective. With test hubs being set up around the country and telcos who are acting proactively, the UK looks like an attractive environment to invest in for R&D. It is by no-means leading the global 5G race, but it is in a healthy position. However, political and regulatory uncertainty are a threat to this perception. The activities and culture of both DCMS and Ofcom over the next couple of months will has a significant impact on the 5G fortunes of the UK, as well as the ability to attract new talent, companies and investment. UK parliament has drafted new legislation that would release UK operators from their commitments not to charge extra for roaming in Europe. The scoop was grabbed by the Huffington Post, which notes that the government will probably release operators from this obligation in the event of a ‘no deal’ Brexit. The apparent rationale is that, since the UK will no longer be able to oblige European operators not to charge UK operators a wholesale premium for roaming, it wouldn’t be fair to prevent them from passing that cost onto their customers. Those opposed to Brexit have inevitably seized on this latest development as further evidence of what a catastrophe the whole thing will be. Labour MP Tom Watson brought it up in the house of commons and exploited the opportunity for a spot of scripted grandstanding to the fullest, which you can see at the bottom of this piece. Wholesale carrier service provider BICS reckons it’s unlikely we’ll see a return to the bad old days, however, because operators on both sides of the channel will be aware of how unpopular such a move would be. “The prospect of a ‘no deal’ in March has fuelled speculation about whether we’ll see the return of roaming charges, and post-holiday ‘bill shock’,” said Mikaël Schachne, VP of Mobility Solutions and IoT Business at BICS. “But with LTE/4G data roaming traffic in Europe surging by 600-800% after the implementation of Roam Like at Home, it would be exceptionally unwise for operators to go against such clear demand. “In its abolition of roaming charges, the EU set a major precedent, and motivated other operators to offer competitive international tariffs. Most of us have now grown accustomed to using our mobile phones – and all of those data-intensive apps and services – when we’re abroad, to a similar degree as when we’re in the UK. In taking that away, operators risk alienating their customer base, and risk haemorrhaging subscribers to those offering more cost-efficient roaming packages. Last summer UK operators indicated they have no intention of bringing back roaming, but as the prospect of ‘no deal’ grows only Three seems to be categorically ruling out any kind of hike. That could get interesting for Three if their wholesale roaming partners start getting funny ideas and our advice would be to publicly name and shame any such opportunistic European operators. There will certainly be all sorts of bureaucratic chaos when Brexit finally happens, but you can’t undo decades of co-dependence overnight. Still, on the plus side, thanks to anticipated shortages of Mars bars, McDonald’s and Magnums we’ll probably all lose loads of weight and look great on the beach. Shame we won’t be able to afford to show off about it on social media, but you can’t have everything can you? Tens of millions of British holidaymakers face the return of huge and unexpected roaming bills in the event of a no-deal Brexit. The @DCMS_SecOfState has caved into the telecom giants and ignored the consumers. My Urgent Question to the House. Regulatory changes and increased competition continue to drive massive growth in LTE roaming around the world, according to new data from BICS. The precise increase is 95%, with a major catalyst still being the European Union’s regulation that banned European operators from charging a premium for roaming within the bloc. While we’re not seeing the ridiculous increase in European roaming that took place in 2017, the first full year after roaming was abolished, growth is still pretty steep. We had a chat with Schachne to get some further insight into this trend. He reckons that changes in the regulatory environment have forced operators to rethink their approach to roaming. This more competitive environment has been self-reinforcing and it looks like operators worldwide are now inclined to offer much more attractive roaming packages than they did a few years ago. Another major reason for them to curtail their roaming profiteering is the growth in dual-SIM as a smartphone feature. This makes it much easier for people to buy a local SIM when they’re travelling and this circumvent roaming entirely. On top of that public wifi is improving all the time so the simple fact is that if roaming is too expensive, most people just won’t use it. BICS is forecasting global 4G roaming growth of around half the rate of 2018 this year, which is hardly surprising considering how extreme it was previously. Another major driver is expected to be IoT over cellular networks, for which global roaming is a key feature, with billions of embedded SIMs expected to hit the market in the near future. Apple’s support of eSIM in its latest iPhones promised to kick-start that market and a couple of specialist companies are leading the way. UK outfit Truphone, which recently raised £18 million in funding, valuing the company at £386 million, has just launched what it claims is the first eSIM app for the new iPhones. The app exploits the ease and flexibility promised by eSIM to allow users to purchase instant local connectivity for their devices in 80 countries. But Chinese company Redtea Mobile has been doing this stuff for a while too and has a service called eSIM+. It’s a fairly straightforward web platform that allows you to buy connectivity in over 60 countries and requires you to scan a QR code to activate it. Redtea has apparently already activated 100 million eSIMs in China and is now looking further afield. Possessing only and antiquated Samsung Galaxy S7, we have been unable to put either service to the test, but they both seem pretty straightforward. Trufone’s app seems easier and more intuitive than Redtea’s web platform/QR code combo , but then again you can get 1GB in the UK on eSIM+ for $13, while the deal will cost you £15 with the Trufone app. Both seem worth a look if you have a new iPhone. With less than ten days until the MVNOs Europe 2018, the MVNOs Series spoke with Lynda Burton. Director of Wholesale at Three, Lynda owns MVNO, white-label partnerships, bulk messaging, carrier services and international roaming functions. In this interview, Lynda shares her predictions for 5G, its benefits to customers and partners, and the most exciting use cases. What are your predictions for 5G and what benefits will it bring to operators’ customers and partners? We see the launch of 5G as a significant impact upon the market and one from which Three intend to get maximum advantage. We have more 5G spectrum than any other operator and with our plans for a fully virtualised network well advanced, we will be able to leverage all the benefits of 5G. Thanks to the rollout of 5G, our spectrum and new technologies like Massive MIMO, our network will be able to support almost thirty times the data that it does today – that means we can bring on more customers fully exploiting our wholesale business opportunities. It is really exciting for our team. It also opens up new connected customer verticals, connecting people to people, people to things, and things to things in both business and consumer segments. Can you also tell us a bit more regarding 5G use cases? Why MVNOs should be excited about it? In the short term 5G is going to allow customers to do more of what they are doing now but much faster. In the consumer space this could mean a far superior low latency gaming experience and removing the need for fixed broadband – so few millennial customers value their fixed line, it is the natural progression for them to become a fully mobile connected household. Longer term we see a significant opportunity in connectivity for business applications, whether that is connected health, car or other industries that need high bandwidth, low latency services, or the IOT applications where there are many millions of devices utilising the network. Finally, our fully virtualised 5G network will allow “network slicing” effectively allocating portions of the network to a particular organisation or vertical. This is cutting edge stuff and the use cases are not fully defined yet, but because of the investments we have made in 5G we have the capability and can work internally and externally on how we bring it to market. How are networks getting ready for 5G and how that includes MVNOs? i.e. Will operators ensure MVNOs have access to their wholesale 5G networks? Operators across Europe are working on their 5G plans. At Three UK we have been planning meticulously for 5G for a long time. Our network and IT transformation, moving us to a completely new and fully virtualised core network, increasing the number of data centres, adding new mobile backhaul with SSE and redeveloping our IT systems, is progressing very well. When completed the core network we are building in partnership with Nokia will be a world first. Without this you cannot fully leverage all the capabilities of 5G. We have already secured more 5G spectrum than any other operator and this opens up a significant opportunity for us. With regards to our MVNO partners, they are already briefed on our 5G strategy and we are continuing to update them. Historically Three UK has always offered our MVNOs network parity with Three Retail and this means that in the future MVNOs will be able to access 5G. We had the same approach to 4G access. This was quite different to the approach of other operators who sought to retain premium services for their own retail customers, giving MVNO customers a more basic service – some of the larger MVNOs only gained access in the past two years. We don’t believe that holding new technologies back from our partners is a model that works. If we help them to grow, we’ll grow and that’s the model we will bring to 5G. How can operators help their MVNOs to face the changing ecosystem? i.e. Are operators willing to reduce their wholesale rates if RLAH has a profound impact on their MVNOs’ businesses? Will operators be more flexible and work with MVNOs to negotiate their roaming deals? That’s a lot of questions! Certainly at Three UK we have always had a flexible approach to working with our MVNOs, whether that is technical or commercial models. We believe that our success is driven from our MVNO’s success, so we are always open to having a dialogue if an MVNO needs our support, and that is on anything not just RLAH. We like to work out challenges together, we really do see our MVNO relationships as partnerships. With regards to whether we would negotiate roaming deals on an MVNO’s behalf, we already offer a managed service on roaming for our MVNO lite customers, leveraging our roaming relationships with over 190 networks globally. How do operators tackle the increased data demand from their customers? Three’s own retail customers use more than 3x the average data consumption each month and our customers have recently voted us the best network for data. Delivering high speed and high bandwidth is our heritage – our network was designed for data. All the projections have data demand growing exponentially over the next 5-10 years and 5G will help us manage that capacity in a cost-effective way. What are your views on delivering a fully digital MVNOs? What do you consider the pros and cons of this model? There a couple of ways that an MVNO could be considered fully digital, it could be that the MVNO can only be accessed via digital channels. So, customers buy online, access their account online and are served through online channels such as webchat. I definitely believe that for the right customer segments this is a model that really works. We only need to look at many of the other digital services like Netflix and Spotify to see that consumers are comfortable in buying service in a 100% digital channel, and I think it’s an area where we will continue to see growth. Obviously, there will be some segments of customers who prefer a face-to-face service, or the ability to call a call centre for help. In the short terms these customers are unlikely to want to migrate to a fully digital experience. But this is at the core of the MVNO ecosystem. MVNOs target different customers segments and offer them an experience which is differentiated from the mass market and serves that customer segment’s needs. The second way an MVNO could be considered fully digital is if all the calls are handled through digital channels, in app calling, sometimes referred to as AppVNOs. Three offer a product that supports this model, our OTT virtual numbers. This allows organisations to set up a mobile calling experience within an App, for example if you wanted to have a mobile number in a dating app. It’s relatively early days for the product but we are seeing some interesting use cases and as always we are keen to exploit new technologies and ideas for our wholesale customers. What are the best strategies when approaching customers via new channels? How can MNOs and MVNOs develop and implement their digital strategies better? Accessing new customers through new and different channels is critical to the success of an MVNO partnership. Our recent partnership with Superdrug is a great example of this. The relationship enables Superdrug to add new benefits to customers within their loyalty scheme giving them a fantastic mobile offer and double loyalty points on all their spend in Superdrug. For Three, we get to bring new and extremely loyal customers to our network through an entirely new channel. In the Superdrug example we are using both retail and digital channels, all the joining journeys can be undertaken online, including setting up your SIM after buying it in a Superdrug store. The online account web pages and web help allows customers to service their account and get help through flexible and lower cost digital channels. Much of the infrastructure that supports this has been developed by Three as part of our white label platform, while Superdrug bring their outstanding understanding of their customers and how best to target and sell to them through stores and digital loyalty media. It’s an exciting proposition and opens up more opportunities for brands who may not have considered their loyalty scheme as a channel for telecoms services. What are your views on network virtualization and its impact on operators? I have already mentioned that virtualisation is crucial to fully leveraging the benefits of 5G but there are other enormous benefits that it will bring. It will allow us to be far more agile, delivering change in the network faster and ultimately allowing us to develop new products and services far faster than the competition, reacting to the ever-changing demands of our retail and wholesale customers. In short it will give us and our partners a significant competitive edge. Automation is a key part of our network virtualisation story that will enable many activities that are manual today to be automated in the future, as well as providing instant self-healing capabilities improving network availability and reliability. Hear from Lynda Burton at the MVNOs Europe 2018, taking place in London, 6 – 7 November 2018. Lynda will deliver a presentation on ‘Preparing for 5G – setting your MVNO up for 5G success’. Book your tickets now. What defines the European MVNO market? Telecoms.com periodically invites expert third parties to share their views on the industry’s most pressing issues. In this piece the MVNOs Series team investigates the latest trends and challenges facing the virtual network operator market in Europe. What are the lessons to be learnt from them? The European MVNO market is the world’s oldest, largest and most mature. Boasting more virtual network operators and more user subscriptions than any other region, MVNOs in some European countries command as much as 15 to 20% of the total mobile market. By 2020, some estimates put the total number of MVNO subscribers on the continent at upwards of 110 million – not far off four times the total number in the USA. With market liberalisation occuring in some European countries as early as 1995, and the world’s first recognisable MVNO – Virgin Mobile – launched in the UK in 1999, the region’s virtual networks have had close to two decades to emerge, grow and evolve. Operating in a market where 84% of the population owns a mobile phone and the mobile industry contributes nearly €600 billion to GDP, the incentives for European MVNOs have arguably been greater than anywhere else on the planet. And in the EU, representing a significant proportion of the continent’s domestic markets, including some of the biggest in the likes of Germany, UK, France and Spain, MVNOs have also found a highly supportive regulatory framework. Yet success brings its own pressures, the European MVNO sector, and the mobile market in general, is intensely competitive. With mobile ownership having sat close to saturation point for a decade or more, vertical growth has become harder and harder, sparking fierce price wars and waves of consolidation. ARPUs first from voice and then from data have tumbled, the product of regulatory intervention and much as competition. As the market stands on the brink of its 20th anniversary, forces such as Roam-Like-At-Home take part in shaping the European MVNO industry heading into a third decade. The EU’s decision to ban roaming charges within its borders is a question yet to be answered. As we shall find out in the upcoming months, RLAH could deal a significant blow to the industry or, alternatively, present a much-needed opportunity. Comprising around two thirds of the continent’s nation states and population, it is no surprise that much of Europe’s MVNO activity is concentrated within The European Union (EU). Around two thirds of all the continent’s MVNOs are found in just five EU member states – Germany, the UK, France, Netherlands and Spain. Germany boasts one of the world’s largest domestic MVNO markets, with around 48 million subscribers and revenues of US $11 billion. This huge sector enjoyed rapid growth following a wave of operator consolidation in 2014, when the regulators sought to mitigate against price inflation by handing 30% of network capabilities to MVNOs. The UK, meanwhile, has been described as one of the world’s most crowded MVNO markets, with 13.5 million customers shared out between upwards of 100 virtual operators. However, 86% of these customers are shared out between a dominant ‘Big 6’ group of large MVNOs – Tesco Mobile, Virgin Mobile, GiffGaff, Lycamobile, Lebara and TalkMobile. With Sky another sizeable player in the UK market, it is noticeable how big name brands from outside the traditional mobile sphere have used the MVNO model as a way into the UK market. Overall, one in seven UK mobiles are connected via a virtual operator and the sector is worth more than £2 billion. As in most areas of industry and commerce, no one is quite sure how the UK’s looming departure from the EU will impact on the MVNO sector, both domestically and on the continent. Outstanding issues to be resolved include whether the EU’s Roam Like At Home (RLAH) rules will still relate to UK subscribers travelling in the EU, and how carriers which operate networks both on the continent and in the UK (including Vodafone, Orange, Deutsche Telekom and Telefonica) will handle wholesale arrangements in the newly separated markets. Outside the EU, the biggest single domestic MVNO market in Europe is Russia. Although conditions for virtual operators in Russia have long been viewed as challenging due to the dominance of the country’s big 3 carriers and little sign of regulatory intervention to liberalise the market, MVNOs are now estimated to control 2.6% of the country’s mobile subscribers. Some analysts confidently predict that this will grow to 14 to 15% by 2022. Carrier Tele2 Russia certainly appears to be taking active steps to increase its MVNO footprint, reporting 831,000 virtual subscribers on its network at the end of 2017. Its model seems to be using MVNO agreements to attract large non-telco players into the mobile space – Tinkoff Bank has this year announced a 1 billion rubles investment into its MVNO spin-off, Tinkoff Mobile, while Moscow-based ISP AKADO Telecom has also announced signing an agreement with Tele2. Across Europe’s most developed MVNO markets, there are mixed views on the potential for growth. In KNect365’s global MVNO market survey carried out earlier in 2018, some respondents described growth prospects as ranging from slow to stagnant. A common theme was that traditional MVNO models are increasingly being squeezed through a combination of price competition and over-saturation in the market, although there were varied opinions on whether this made it difficult for new players to enter the market or else created new opportunities for innovative entrants with disruptive approaches. Despite the tough trading environment, more than a quarter of respondents (28.5%) still cited Europe as the region offering the best growth opportunities for MVNOs. Some analysts argue that European consumers, already at an advanced stage of engagement with mobile services, will soon start to look beyond price for increasing levels of specialisation and personalised service. This plays into the hands of agile MVNOs which have the experience serving niche markets while network operators, already faced with dwindling retail margins, are more and more likely to turn to wholesale business models instead. On the other hand, there is a school of thought that suggests it is becoming harder and harder for MVNOs in Europe to operate out of the shadow of their network operators with any degree of independence. Some insiders told us they see MNOs aggressively targeting traditional MVNO territory in a bid to bolster their own dwindling margins. Europe’s MVNOs are looking to brand new markets and brand-new business models away from the consumer sector in business services. In the UK, for example, more than 20% for the MVNO market is now focused on business. In Germany, the connected car market is the most advanced in the world, creating brand new opportunities for agile, specialist operators at the intersection of IoT and eSIM technologies. Yet another significant trend is digitalisation, with the adoption of cloud-based ‘as-a-service’ business models by virtual operators positioning them ideally to make the transition into B2B, and to take a step up the value chain to offer mobile enabling services to emerging IoT markets. The research-based report Shaping the European MVNO Market looks closely at the impact of consolidation on the market and ask whether carriers and virtual operators alike might not benefit from more collaborative rather than competitive relationships. With pricing on voice and data having practically become a zero-sum game, it looks at ways MVNOs are diversifying services to seek new value streams and assess the impact of OTT entrants. The report also explores the impact of new technology, specifically how digitalisation is changing business models and the size of the IoT opportunity, and ask whether over the next decade Europe’s MVNO sector might see a significant shift away from consumer to B2B markets. Download the report! What is it with telcos and the ‘creative’ approach to advertising honesty? The Advertising Standards Authority (ASA) has once again had to step in to put a stop to telco advertising, this time Three’s efforts, posing a pretty simple question; why do the telcos find it so easy to put misleading adverts into the world? The latest ruling was surrounding Three’s ‘Go Roam’ claim, which states users are able to ‘Feel at Home’ by using their full data allowance without any extra costs in 71 countries. An investigation from the ASA found postpaid users were limited to 13GB and postpaid to 12GB, before costs were applied. There is text hidden away somewhere on the Three website pointing towards a fair use clause, though the ASA does not believe this is sufficient and Three has been misleading customers. Three’s response to the claims was relatively simple. Firstly, most of it customers only use 0.75GB per month in a ‘Go Roam’ destination, therefore 12GB was excessive. Secondly, that the claim had been used since 2014 and was strongly associated with their brand, which supposedly makes it alright. It does appear some customers were using it for business purposes, making several trips abroad per month, while the offer had originally been intended for holidays. This is a perfectly respectable defence from Three, but without informing the customer of these conditions, it doesn’t have a leg to stand on. Unfortunately this is becoming a common trend. Service providers seem to think they can do what they like before pointing to some obscure reference on websites, incredibly small print or a statement made to an irrelevant number of people at a niche event. While Three might have been caught out in this instance, it is not alone. BT had a complaint upheld regarding its claims on wifi speeds in April. Sky was caught misleading customers in March regarding a price promotion. Vodafone was caught out earlier this month and in September for misleading claims in adverts featuring Martin Freeman. There are other examples, plus the pending investigations with the ASA and also dozens of examples over the last few months of ‘informally resolved’ incidents. Vodafone has ‘informally resolved’ 12 of these complaints so far in 2018, TalkTalk seven and O2 five. Some of these will be down to honest mistakes, but the complaints seem to becoming more common. Of course the other factor which needs to be taken into account is the ‘up to’ metric which plagued telcos advertisements for years, misleading customers over speeds which can be achieved. Any normal person would have told any of the telco’s marketing team this is not a fair or honest way to communicate with the consumer, but it become commonplace. It seems the telcos are harbouring different standards when it comes to honesty than the rest of us. A couple of companies involved in the areas of operator interconnectivity, roaming and general wholesale action have decided to merge. The combination of Telarix and Starhome Mach inevitably claims to offer a full end-to-end set of wholesale solutions for operators, covering voice, SMS, clearing, settlement and fraud prevention. The new company has 450 customers in 130 countries. All this mucking about with telecoms plumbing also creates business opportunities in BSS, subscriber analytics and that sort of thing. While positioned as a merger this looks more like the acquisition of Starhome Mach by Telarix. Private equity is involved one both sides but only Vista Equity Partners, which is behand Telarix, will remain involved, it will be based in Telarix’s home of Vienna, Virginia, and Limena will be the CEO of the new company, with Margalit becoming President of the roaming silo. You can read further analysis of this move at Light Reading here. Telecoms.com periodically invites expert third parties to share their views on the industry’s most pressing issues. In this piece John Wick, SVP and GM of Connectivity and Mobility Services at Syniverse shares some of his company’s recent research into LTE roaming. LTE is growing globally, and growing fast, and one area in particular that it’s been taking off in is roaming. To better understand this growth, Syniverse has been examining this through a series of studies based on the LTE roaming patterns of our global IPX network. We most recently focused on LTE roaming at one of the world’s largest events this year – the FIFA World Cup soccer tournament – and the findings revealed some important implications for the development of LTE globally in the next few years. LTE won a convincing victory over non-LTE at the World Cup, according to our data. The analysis of roaming data shows that 67 percent of data usage was LTE from travelers to Russia over the four weeks of the tournament, compared to the global average of 54 percent of all traffic for LTE roaming usage between major world regions. Specifically, the analysis found that the largest volume of global LTE usage coming into Russia during the World Cup came from North America (42 percent). The next most popular LTE roaming location was Asia (19 percent), followed by Europe (18 percent), Latin America (11 percent), and the Middle East and Africa (9 percent). This is surprising given that no teams from North America played at the World Cup, but it points to the strong LTE roaming agreements between countries. The 67 percent LTE data usage we found points to a huge growth trend over the last few years. In developing markets, more and more operators are launching new LTE services, while operators in developed markets are continuing to build out and enhance their networks. In fact, the GSMA forecasts that by 2020 there will be over 3.5 billion LTE connections and approximately three-quarters of the world’s population will be covered by LTE networks. This growth is reflected in another huge sports event we analyzed this year, the Winter Olympics in Pyeongchang, Korea, in February. According to our findings, of the data usage generated by visitors to the Games, an enormous 92 percent was LTE, versus just 8 percent non-LTE. Not surprisingly, Asia received the largest amount (72 percent) of LTE traffic during the Games. Next was North America (23 percent), followed far behind by Europe (3 percent). In addition to these LTE roaming highlights, we uncovered a milestone, as well as a significant challenge, in LTE growth in a global study we completed early this year. The study focused on roaming traffic between six regions – North America; Latin America; Europe; Asia Pacific; the Middle East and Africa; and India – and the findings revealed that in the last year LTE traffic surpassed non-LTE traffic and now represents the majority of global roaming traffic, having risen to 54 percent in 2017 from 46 percent in 2016. At the same time, the findings highlight the need for the mobile industry to more urgently prepare for technologies like 5G, based on the eight years that it took from the time that LTE was commercially launched for it to surpass the previous generation of technology. A challenge then is fully enabling LTE roaming on a global scale. But outside the Americas, where most of LTE roaming is concentrated, we found the tipping point with global LTE roaming hasn’t fully occurred yet. Specifically, the Americas represent 79 percent of total volume, while LTE roaming volumes for other regions include Europe at 11 percent, Asia Pacific at 7 percent, and the Middle East and Africa at 3 percent. In fact, this study revealed that a barrier in providing a consistent LTE service footprint was found to lie in the inter-regional connectivity that an IPX network can enable. This technology in particular has emerged as a versatile network backbone that can provide a single-connection capability to link to multiple networks and greatly expand inter-regional connectivity. For this reason, it offers a crucial asset in expanding LTE roaming coverage, and mobile operators need to have a full-scale strategy for integrating IPX in order to accelerate the growth and maturity of their LTE networks. The World Cup and other global events present some of the largest and most complex world stages on which to demonstrate the promise of mobile. How operators manage LTE roaming for these events will have profound implications for their success in meeting the rising demand for high-speed, high-capacity usage by today’s traveling mobile users. With 67 percent of data usage at the World Cup consisting of LTE traffic, and with LTE traffic reaching 54 percent to represent the majority of global roaming traffic, it’s imperative that operators are prepared to meet the new demands of the dynamic LTE-powered future now taking shape. 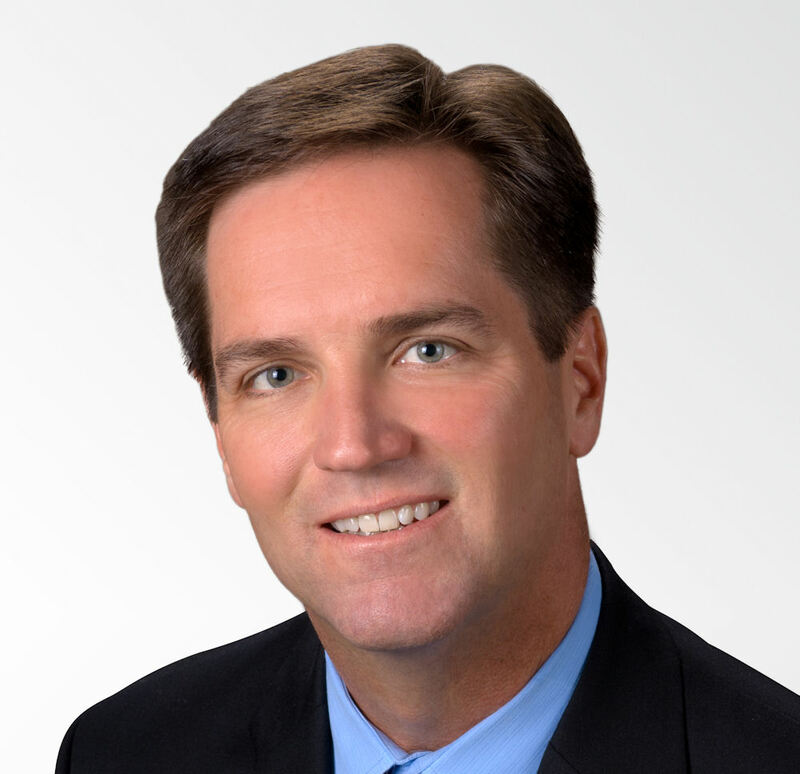 John Wick is Senior Vice President and General Manager for Mobile Transaction Services, and is responsible for the management and growth of Syniverse’s next-generation networks, messaging, and policy and charging lines of business. He also leads the product and software development across these lines of business.